The Rule of the Secular Franciscan Order was approved and confirmed by Pope Paul VI on June 24, 1978, and delivered over to the Order on October 4, 1978, by the four Ministers General of the Franciscan Family. The Prologue, written by Saint Francis, and Rule are provided below. Also on this page, the origin and development of the Rule is outlined, including an examination of early documents, beginning with Saint Francis. All who love the Lord with their whole heart, with their whole soul and mind, with all their strength, and love their neighbors as themselves and hate their bodies with their vices and sins, and receive the Body and Blood of our Lord Jesus Christ, and produce worthy fruits of penance. Oh, how happy and blessed are these men and women when they do these things and persevere in doing them, because the spirit of the Lord will rest upon them and he will make his home and dwelling among them, and they are the sons of the heavenly Father, whose works they do, and they are the spouses, brothers, and mothers of our Lord Jesus Christ. We are spouses, when by the Holy Spirit the faithful soul is united with our Lord Jesus Christ, we are brothers to him when we fulfill the will of the Father who is in heaven . We are mothers, when we carry him in our heart and body through divine love and a pure and sincere conscience; we give birth to him through a holy life which must give light to others by example. Oh, how glorious it is to have a great and holy Father in heaven! Oh how glorious it is to have such a beautiful and admirable Spouse, the Holy Paraclete. But all those men and women who are not doing penance and do not receive the Body and Blood of our Lord Jesus Christ and live in vices and sin and yield to evil concupiscence and to the wicked desires of the flesh, and do not observe what they have promised to the Lord, and are slaves to the world, in their bodies, by carnal desires and the anxieties and cares of this life. These are blind, because they do not see the true light, our Lord Jesus Christ; they do not have spiritual wisdom because they do not have the Son of God who is the true wisdom of the Father. Concerning them, it is said, ” Their skill was swallowed up ” and ” cursed are those who turn away from your commands “. They see and acknowledge, they know and do bad things and knowingly destroy their own souls. See, you who are blind, deceived by your enemies, the world, the flesh and the devil, for it is pleasant to the body to commit sin and it is bitter to make it serve God because all vices and sins come out and ” proceed from the heart of man ” as the Lord says in the Gospel. And you have nothing in this world and in the next, and you thought you would possess the vanities of this world for a long time. The devil snatches the soul from his body with such anguish and tribulation that no one can know it except he who endures it, and all the talents and power and knowledge and wisdom which they thought they had will be taken away from them, and they leave their goods to relatives and friends who take and divide them and say afterwards, ” Cursed be his soul because he could have given us more, he could have acquired more than he did. ” The worms eat up the body and so they have lost body and soul during this short earthly life and will go into the inferno where they will suffer torture without end. All those into whose hands this letter shall have come we ask in the charity that is God to accept kindly and with divine love the fragrant words of our Lord Jesus Christ quoted above. And let those who do not know how to read have them read to them. And may they keep them in their mind and carry them out, in a holy manner to the end, because they are spirit and life . And those who will not do this will have to render an account on the day of judgment before the tribunal of our Lord Jesus Christ. The Franciscan family, as one among many spiritual families raised up by the Holy Spirit in the Church, unites all members of the people of God–laity, religious, and priests– who recognize that they are called to follow Christ in the footsteps of St. Francis of Assisi. In various ways and forms but in life-giving union with each other, they intend to make present the charism of their common Seraphic Father in the life and mission of the Church. The Secular Franciscan Order holds a special place in this family circle. It is an organic union of all Catholic fraternities scattered throughout the world and open to every group of the faithful. In these fraternities the brothers and sisters, led by the Spirit, strive for perfect charity in their own secular state. By their profession they pledge themselves to live the gospel in the manner of St. Francis by means of this rule approved by the Church. The present rule, succeeding Memoriale Propositi (1221) and the rules approved by the Supreme Pontiffs Nicholas IV and Leo XIII, adapts the Secular Franciscan Order to the needs and expectations of the Holy Church in the conditions of changing times. Its interpretation belongs to the Holy See and its application will be made by the General Constitutions and particular statutes. Secular Franciscans, therefore, should seek to encounter the living and active person of Christ in their brothers and sisters, in Sacred Scripture, in the Church, and in liturgical activity. The faith of Saint Francis, who often said ” I see nothing bodily of the Most High Son of God in this world except his most holy body and blood,” should be the inspiration and pattern of their eucharistic life. United by their vocation as brothers and sisters of penance, and motivated by the dynamic power of the gospel, let them conform their thoughts and deeds to those of Christ by means of that radical interior change which the gospel itself calls conversion. Human frailty makes it necessary that this conversion be carried out daily. Witnessing to the good yet to come and obliged to acquire purity of heart because of the vocation they have embraced, they should set themselves free to love God and their brothers and sisters. Secular Franciscans, together with all people of good will, are called to build a more fraternal and evangelical world so that the kingdom of God may be brought about more effectively. Mindful that anyone who follows Christ, the perfect man, becomes more of a man himself, let them exercise their responsibilities competently in Christian spirit of service. Moreover they should respect all creatures, animate and inanimate, which bear the imprint of the Most High, and they should strive to move from the temptation of exploiting creation to the Franciscan concept of universal kinship. The Secular Franciscan Order is divided into fraternities of various levels–local, regional, national, and international. Each one has its own moral personality in the Church. These various fraternities are coordinated and united according to the norm of this rule and of the constitutions. On various levels, each fraternity is animated and guided by a council and minister (or president) who are elected by the professed according to the constitutions. Members who find themselves in particular difficulties should discuss their problems with the council in fraternal dialogue. Withdrawal or permanent dismissal from the Order, if necessary, is an act of the fraternity council according to the norm of the constitutions. To foster communion among members, the council should organize regular and frequent meetings of the community as well as meeting with other Franciscan groups, especially with youth groups. It should adopt appropriate means for growth in Franciscan and ecclesial life and encourage everyone to a life of fraternity. This communion continues with deceased brothers and sisters through prayer for them. As a concrete sign of communion and coresponsibility, the councils on various levels, in keeping with the constitutions, shall ask for suitable and well-prepared religious for spiritual assistance. They should make this request to the superiors of the four religious Franciscan families, to whom the Secular Fraternity has been united for centuries. together with the Holy Spirit, the Comforter. A profound document which further explains the Rule and the Secular Franciscan Order. A must read for all OFS’s and those seeking a deeper understanding of this Order. Click General Constitutions of the Secular Franciscan Order . We, the National Fraternity of the Secular Franciscan Order in the United States of America, called to follow Christ in the footsteps of St. Francis of Assisi, in order to provide for the life of the Order and specifically for its organization and function, do establish and adopt these Statutes. All regulations not in accordance with these present National Statutes are abrogated [cf. General Constitutions of the Secular Franciscan Order (hereafter General Constitutions), article #7]. Click here. The First Life of Thomas of Celano refers to a “norm of life” that Saint Francis gave to all who came to him (“To all he gave a norm of life, and he showed in truth the way of salvation in every walk of life.”). As to the “norm of life,” Rafffaele Pazzelli, T.O.R., (St. Francis and the Third Order: The Franciscan and pre-Franciscan Penitential Movement) states that we do not have sufficient information to identify the forma vitae positively from any of the documents we possess, but we have irrefutable sources which enable us to know the directives, the new ideals and aspirations which Francis wanted to give to groups of penitents who became the Third Order. They are mainly two documents. First, there is the Recensio prior, known as the Volterra text and included in “The Rule of the Secular Franciscan Order.” It is also referred to as “First Letter to All the Faithful” (quoted here as the Prologue to The Rule) and generally considered as an earlier version of the more famous one, “The Letter to All the Faithful”). Second, there is the “Letter to All the Faithful,” which probably was written around 1221. It deals with much the same themes as the First Letter but in a more detailed way. Both of these documents were written by St. Francis. Robert M. Stewart, O.F.M., in The Rule of the Secular Franciscan Order, states that the “primitive rule,” in its narrowest sense, refers to the First Letter. “The ‘Memoriale Proposit’ was written by Cardinal Hugolino, Protector of the Order of Friars Minor, and given to the Order of Penitents. It was orally approved in 1221 by Pope Honorius III, and marks the first legislative text of the Third Order of St. Francis. The Rule is presented as ‘the memorial of what is proposed for the Brothers and Sisters of Penance living in their own homes’. It is made up of 8 chapters, dealing with (1) the daily life of the Penitents, regarding their dress, and prohibition to take part in public entertainment; (2) rules of abstinence; (3) rules of fasting; (4) prayer and the divine office; (5) sacramental practice, prohibition to carry arms and to avoid oaths; (6) the Eucharist and meeting of the fraternity once a month; (7) visiting the sick, burying the dead and offering prayers for them, obligation to make the last will, rules regarding the reception of new members in the fraternity; (8) the visitor and disciplinary rules, election of the officials of the fraternity. The year 1289 marks the date when the Third Franciscan Order was given a new Rule by Pope Nicholas IV, who issued the Bull ‘Supra montem’ in the town of Rieti . Nicholas IV had been a Minister General of the Order of Friars Minor. He was Girolamo da Ascoli Piceno, Minister General from 1274 to 1279. The Rule of Nicholas IV does not add any new material to the ‘Memoriale Propositi’ of 1221, but it gives a more legislative style to this document. Nicholas IV made use of the ‘Memoriale Propositi’, as well as of a Rule for Penitents written by a certain Friar Caro, a minorite from the convent of Santa Croce in Florence, who was also a visitator to the Franciscan and Dominican Penitents in 1284. For the first time in its long history, the Third Order was given a Rule included within a Papal Bull. The Rule is addressed to the Brothers and Sisters of the Order of Penitents. Pope Leo XIII, a Third Order Secular, had a great devotion to St. Francis. Both as bishop and as pope, he fostered the growth of the Franciscan Third Order. In his encyclical Auspicato, sent to all bishops of the world in 1882, he requested that they encourage all Catholics to enter the Third Order. In this encyclical, he said that the Way of Life proposed by Francis for the laity was appropriate for all Catholics in the 19th century. He proposed that the Franciscan Third Order was especially advantageous because it called its members to live the Gospel within the world. In his attempt to rekindle the Gospel within the world, Pope Leo actually presented his interpretation of that Way of Life. He promulgated a new Rule for Secular Franciscans in the papal constitution Misericors Dei Filiuis, dated May 30, 1883 . In it, he modified the Rule of 1289 to remove obstacles to membership in the Order. He greatly simplified the regulations of the Rule of 1289 in order to make it acceptable to the greatest possible number. He diluted the original call to radical metanoia and transformed the Rule of Life into a simple praxis of the faith.
. . . Whereas Francis challenged people to the true spirit of penance, whereas Francis exhorted his followers to a radically different wisdom, struggle, and sense of power in response to God’s love, here the Rule of 1883 merely exhorts these same followers to the simple and ‘not too burdensome’ praxis of Catholicism. The dilution of the demands of the earlier Rules has drained the Rule of 1883 of the unique spirit or contribution of Francis. The gospel life that Francis has rediscovered in all of its radicality has not been translated well in the Rule of 1883. . . . Leo has reduced the radical demands of Gospel metanoia announced in the Later Exhortation [Letter to All the Faithful] to the ‘practices of piety and good works’. Thus, rather than preserving the Way of Life preached by Francis ‘altogether and unchanged and intact’, the Rule of 1883 allowed for the evolution from a Franciscan Order of Penitents to a Franciscan sodality [i.e., fellowship, association, lay society for religious and charitable purposes]. Source: Stewart, Robert M. “De Illis Qui Faciunt Penitentiam”: The Rule of the Secular Franciscan Order: Origins, Development, Interpretation. Roma: Istituto Storico Dei Cappuccini, 1991. Vatican II was the turning point for reform of the Third Order. The process of drafting a new Rule officially began in November 1965. Then on March 9, 1966, the four Comissaries General [composed of four friars, one from each of the four branches of the Order (OFM, OFM Cap., OFM Conv. and TOR) and appointed by the Minister General] sent a circular letter, announcing the work and outlining the process to be used. The letter limited discussion with the restriction that the base of the new Rule would be the Rule of 1883. So at the beginning of the process, others were not empowered to return to one or several 13th century documents as sources for the basis of the re-examination, and the resultant Rule of 1978 bears little resemblance to the primitive Rule. The drafting of a new Rule, meetings, and other events from 1965 until 1978 are described by Robert M. Stewart, O.F.M., in his book noted below. During the period of drafting the new Rule, volumes of research emerged concerning the origins of the Secular Franciscan Order, unfortunately near the end or after the Rule Project. For example, there were five major historical congresses which focused specifically upon the Franciscan Order of Penitents, held in 1972, 1976, 1981, and 1987. The most significant research that emerged was probably that of Kajetan Esser, O.F.M. He made an extensive study of the Volterra text [i.e., the First Letter to All the Faithful], which first appeared in Germany in 1975. He concluded that the text concerns the brothers and sisters of penance living in their own homes and that it must have been written many years before the “Letter to All the Faithful.” Fr. Esser advanced the hypothesis that the “norm of life,” spoken of by Thomas of Celano, can be identified as the Volterra text. As to the new Rule, after the April 1977 Redaction, the Final Redaction of the Rule of 1978 was sent to the Ministers General. They introduced one very significant change in the text sent to the Curia, a change which profoundly altered the Rule. 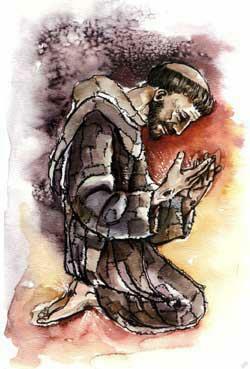 Without explanation, they included as a Prologue, St. Francis’ First Letter to All the Faithful, the primitive Rule. They later defended their decision to the Sacred Congregation who suggested that the First Letter be replaced with “The Letter to All the Faithful.” The Ministers General defended their choice with an implicit reference to Esser’s research, arguing that the First Letter had been accepted as the earlier version of “The Letter to All the Faithful.” They also claimed that the First Letter was preferable because it was “more concise and more adapted to the needs of today.” The Sacred Congregation accepted the decision of the Ministers General and officially approved the Rule of 1978 with the Prologue.